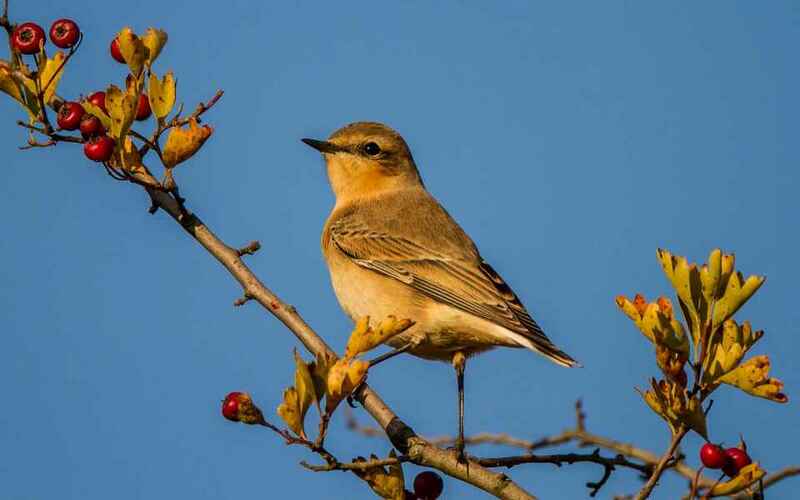 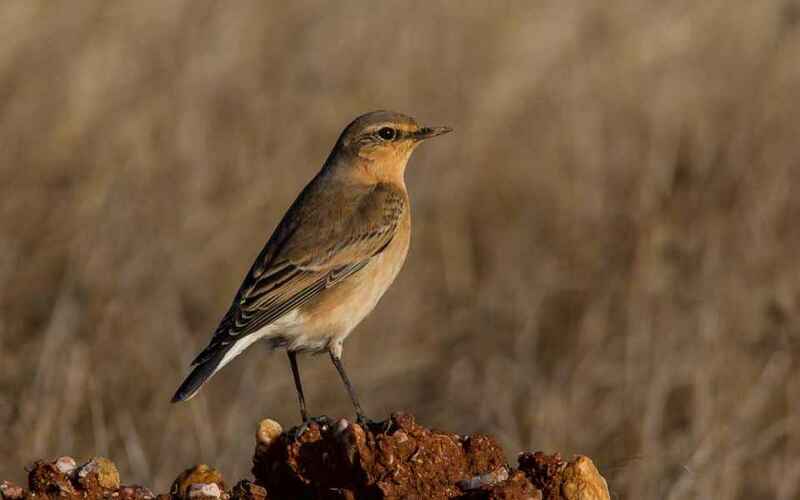 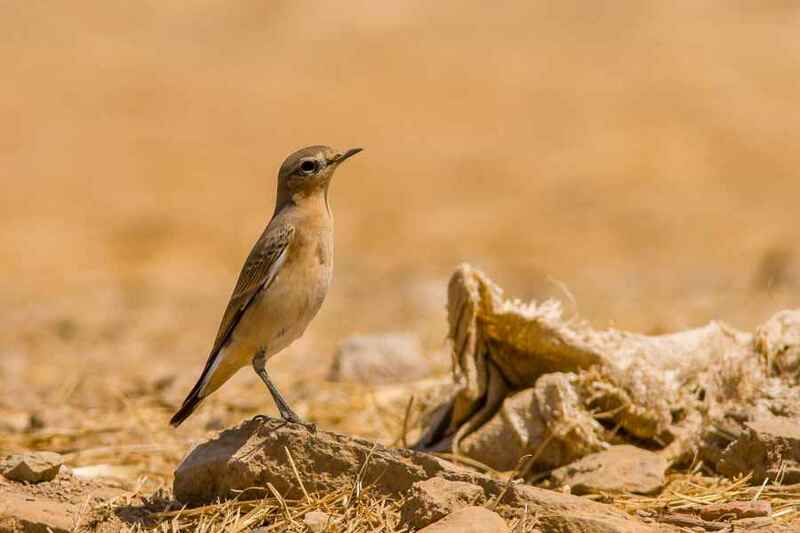 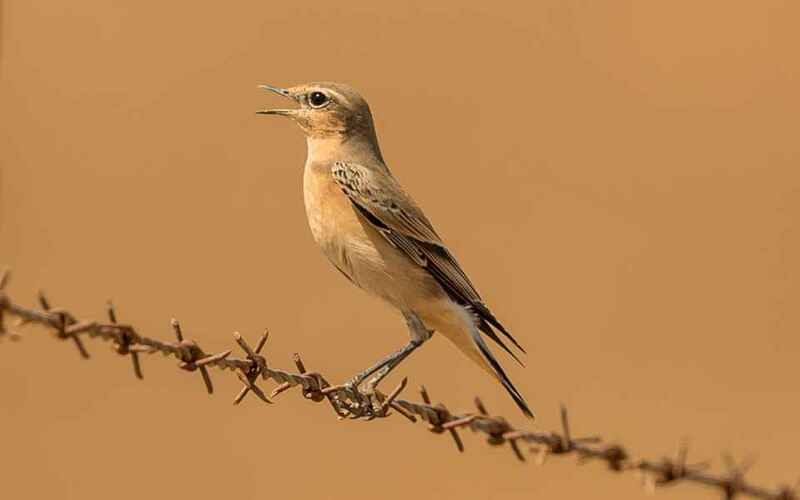 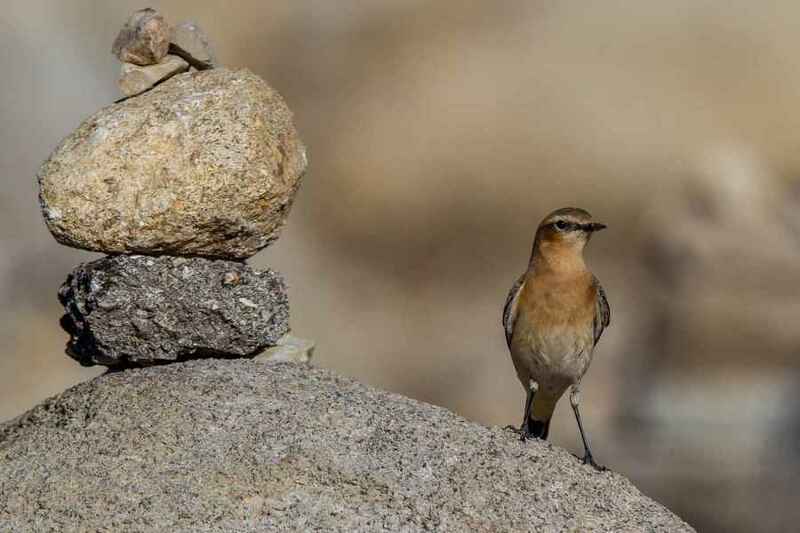 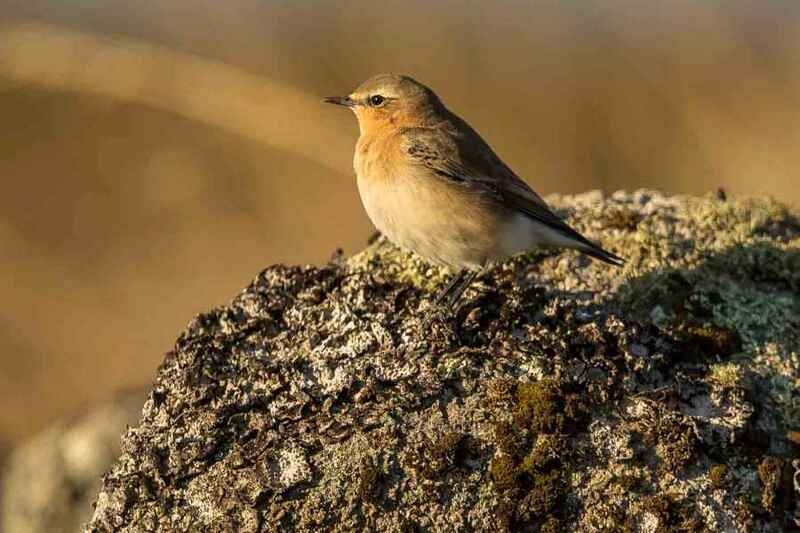 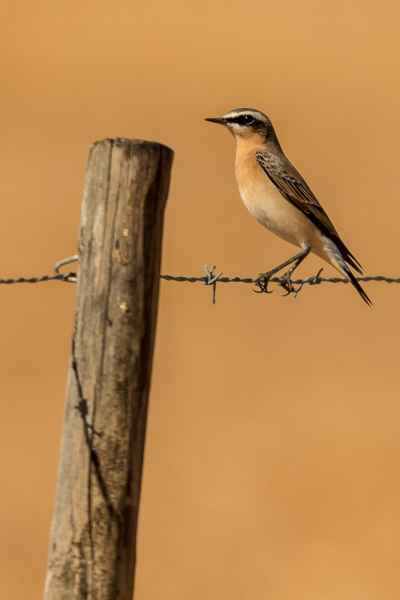 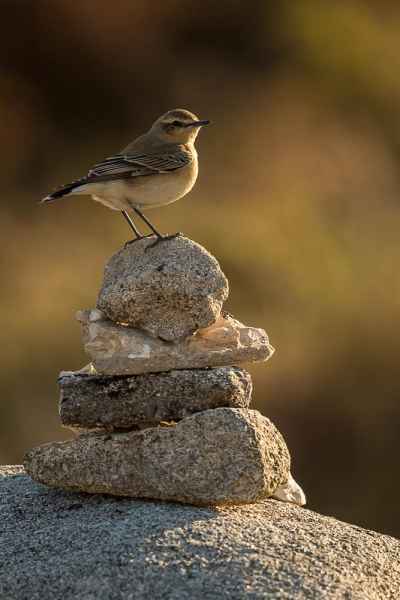 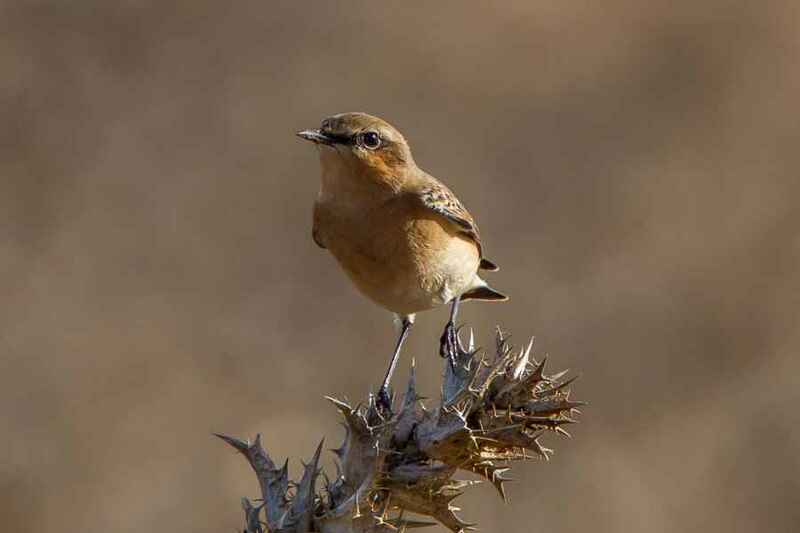 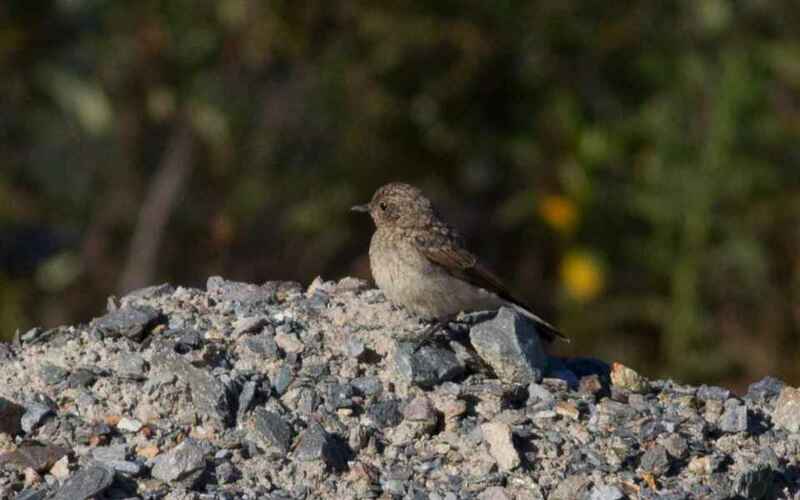 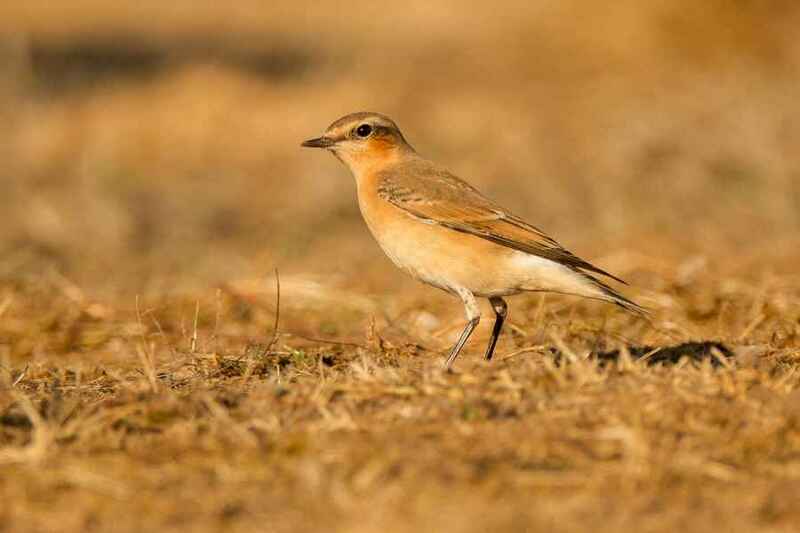 Northern Wheatears are a passage migrant seen most often during the second half of September when there is always a large fall of them to feed up in southern Portugal before crossing over to Africa. 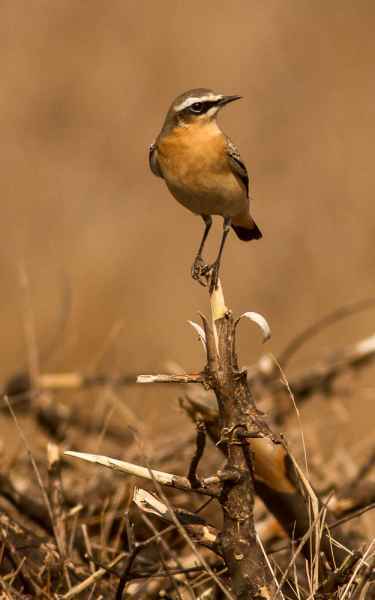 They are always a very "neat" bird with never a feather out of place. 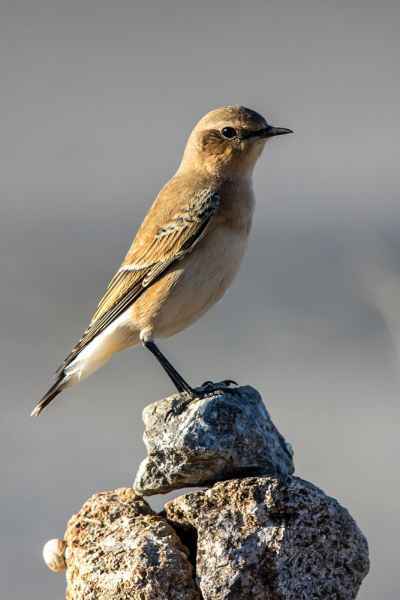 Both sexes have a large inverted black "T" on the white background of their tail. 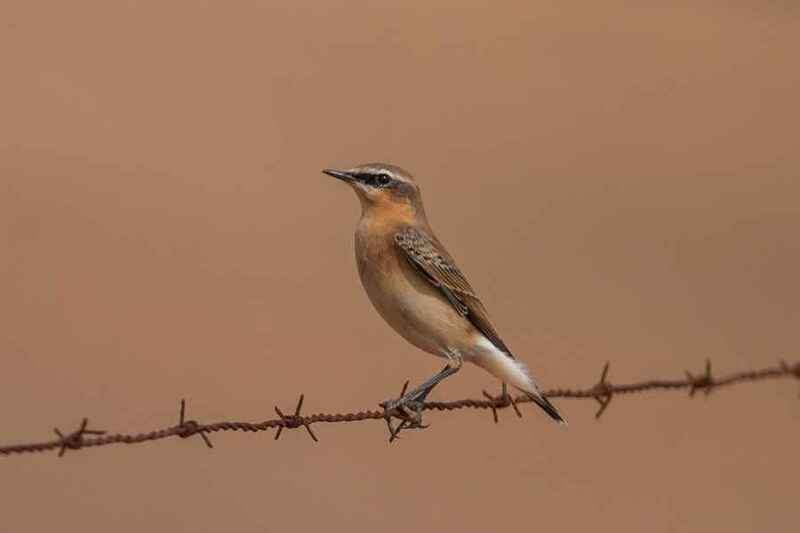 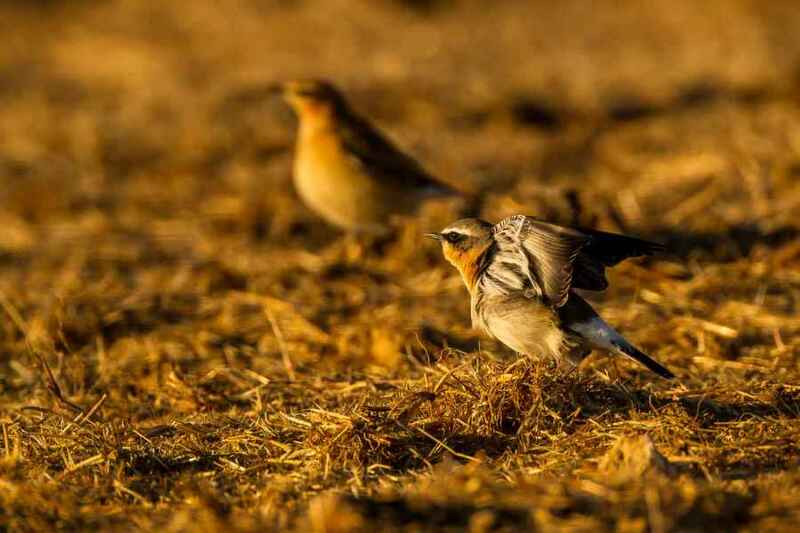 This species is recognised as having one of the longest migrations of any bird, approximately 30,000 kms and some birds that nest in Canada and Greenland make one of the longest transoceanic crossings of any passerine; they have been recorded as crossing directly from there to south western Europe, a distance of 2,500 kms ... they fill me with admiration. 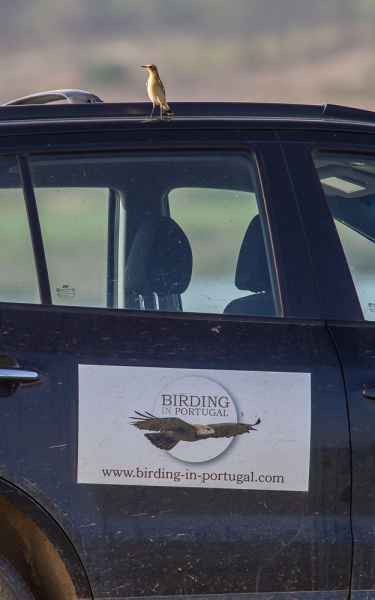 Interestingly enough I have a photo of a juvenile passing through the Quinta on the 22nd June 2013; I wish I knew where he'd come from!